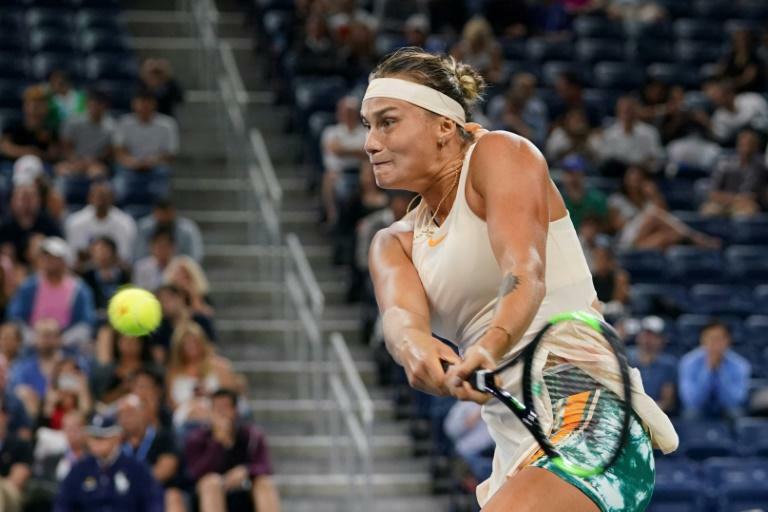 Aryna Sabalenka's red-hot hardcourt form continued on Saturday as she knocked two-time Wimbledon champion Petra Kvitova out of the third round of the US Open. Sabalenka, a 20-year-old from Belarus, warmed up for Flushing Meadows with a first career title at New Haven and came into the tournament at a career-high world ranking of 20th. Seeded 26th, she beat fifth-seeded Czech Kvitova 7-5, 6-1, belting 21 winners in a match lasting 1 hour 25 minutes. Sabalenka said her solid showing in the build-up to the US Open had her dreaming of a major breakthrough, although having already surpassed her previous best Grand Slam performance she's not putting added pressure on herself. "Actually before the Grand Slam, I was thinking like, wow, I made a final, I made my first title. I have some power for a Grand Slam. I was thinking like that. "In the first match, I felt pretty good, physically, mentally. I thought, OK, we will see. I don't know -- I'm just enjoying right now." Kvitova's exit means just three of the top 10 women's seeds made it into the fourth round. Sabalenka, seeded 26th, will face Naomi Osaka, for a quarter-final spot in a battle of big-hitting 20-year-olds. Japan's Osaka, seeded 20th, railroaded Aliaksandra Sasnovich 6-0, 6-0. "I know she's quite an aggressive player. She puts a lot of balls in, quite hard," Sabalenka said. "I will just come on the court and just fight, fight for every point. It's nothing to lose for me."